Thoughts on motherhood, writing for kids, and raising readers. My mental bandwidth for November is full of two things – books and turkeys! November is International Picture Book Month – which you can learn more about here. 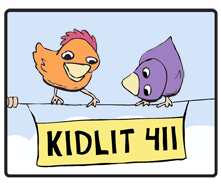 Also in November, the kidlit community rallies around an event called PiBoIdMo (Picture Book Idea Month) – in which established and aspiring authors attempt to come up with a picture book idea a day for 30 days. When I’m not thinking about children’s books in November, I’m focused on being thankful, showing gratitude, and helping those less fortunate. (Plus pie. I’ve always got mental bandwidth for pie). Children’s books let me travel the world. I lived in Michigan – first Detroit, and later a small town in the Southwest corner of the state. Travel for our family was a road trip from the lower peninsula to the upper peninsula. But I could travel to China with The Story About Ping, to Prince Edward Island with Anne, to the snowy north with White Fang, to England – and Narnia – with the Pevensies. They make tough topics easier to understand. As a child, books helped me process difficult concepts like death, divorce, evil and loss. As a parent, I still lean heavily on the magic of well-written children’s books to prepare my own children’s hearts and minds for the scary things in the real world. I have a popular post on the topic, called STORY STRENGTHENS US, here. Children’s books teach empathy and help us relate to one another. Truly great kids’ books let us see past the illustrations (if the book has them) and into the characters’ hearts and souls. We can forget skin color, hair style, accent, and origin and become so deeply entangled in the character AS A PERSON that the superficial things we use to judge and reject people drop away. I like to think this carries over into “the real world” (like anything is more real than books?! not possible) – and actually recent studies show it to be true! They make art accessible to everyone. Not everyone has the ability to drop by an art museum, or the education and patience required to learn about art history and appreciation. But children’s books, especially picture books, put amazing art representing countless styles into the hands (and hearts) of anyone with a library card. Children’s books give me quiet time – without panic! Before my children learned to read independently, a silent house was a house where something TERRIBLE and MESSY was happening. Now, there are quiet hours at home, in cars, and in airplanes, that don’t make my heart race or my temper have a tantrum. I’m SO thankful for this! Children’s books are opening a new career for me. When I stopped working as a physical therapist to stay home with my kids, I had no idea it was just the wake-up call I needed. As good as I was at my job, and as good as I felt about helping people get well and strong and healthy – I had been missing something. Creativity was a part of it. And community. And happy kids. And writing! I’ve been so lucky to get to dive headlong into my dream of writing for children – a dream I had always thought to “save for retirement” – at this point in my life. I’ve been luckier still to have found a great community of writers, an agent who believes in my talent, and a publisher (first of many, I hope – knock on wood, would you?) who grasps my vision and is bringing one of my stories to life! They give me an excuse for cuddles and snuggles with my kids. My eldest is 10, going on 23. She isn’t big on touching – but she’ll still drop everything to curl up with me for read-aloud. Sure, she’ll lecture me on my pronunciation of obscure mythological names in the Percy Jackson canon, but she’ll cuddle me while doing it. My 6 and 8 year olds can both read independently now – but they still enjoy storytime with Mom – or Dad – or both – at bedtime every night. I’m so thankful to children’s books for giving me this extended cozy time with my children! They are all growing up so quickly, I’ll use any trick to keep them close as long as possible. Children’s books are portable, non-perishable, and (in many cases) one-size-fits-all. I am thankful that the world has such a great item – one that I can put in the Toys for Tots bin, or drop at the local women’s shelter, or donate to a school – and know it will be appreciated. That’s why at Thanksgiving, as well as other times of year, I make sure that part of my gratitude towards children’s books is paid forward in children’s books. If you’d like to do the same, check out my Links to Like page for a number of literacy organizations that put books into kids hands. I’d love to hear what it is about children’s books that makes you the most thankful this November. Please leave a comment below! Want to hear more from kateywrites? Not a WordPress user? Enter your e-mail address and click below to receive my new posts directly to your email box. What (NOT) to do when your child falls out of love with books.